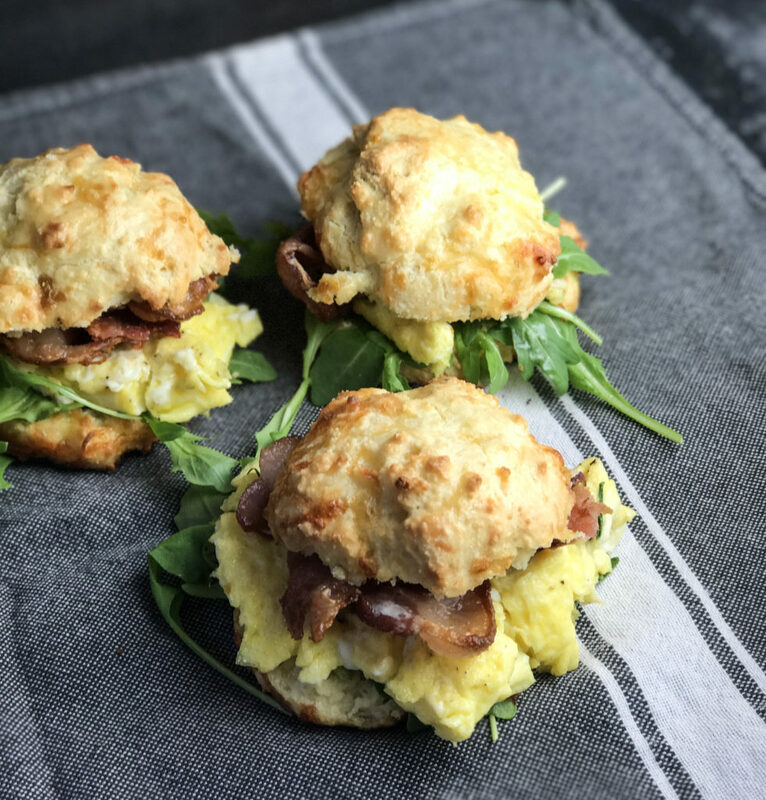 These Keto Biscuit Breakfast Sandwiches are keto friendly biscuits with scrambled eggs, crispy bacon and arugula. 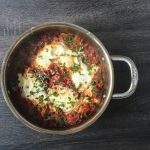 The perfect keto brunch recipe. There’s nothing I like more in the morning then a nice cup of Cold Brew, a Breakfast Sandwich and a copy of Calvin and Hobbes to read. Breakfast sandwiches have to be one of my favorite things to eat, no matter the time of day. 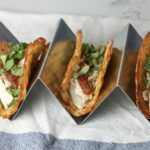 It’s so many good things all wrapped up in a neat little package just beckoning you with flavors and textures and deliciousness. Lately I’ve been really into trying to become more creative with my cooking. I think it’s really fun to challenge yourself to learn to cook and make things that still taste good even when you put certain dietary restrictions on them. For example, I’ve been interested in learning about the ketogenic diet recently. 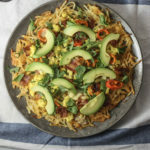 If you’re not sure what the ketogenic diet is, essentially it’s eating very little carbs (like 20g per day) and eating a lot of fat. For a more detailed description, go here. 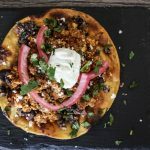 I’ve been having a lot of fun with trying to create recipes that fit into this way of eating. I think it’s fun and it’s been a good challenge to make things taste good and not make anyone feel deprived. So I decided to try to make a biscuit. I actually tried a few recipes that I found but most of the time, I found that the biscuits were really crumbly and fell apart. They were very flavorful but for a sandwich, they were messy and difficult to eat, often resulting in using a fork to pick up the crumbs. 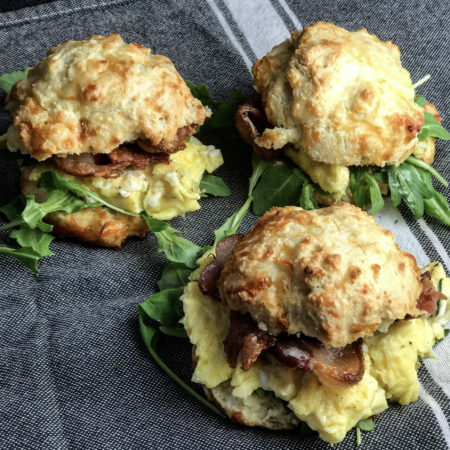 The biscuits I’ve created solve that — they’re sturdy and can actually hold up well to fillings. 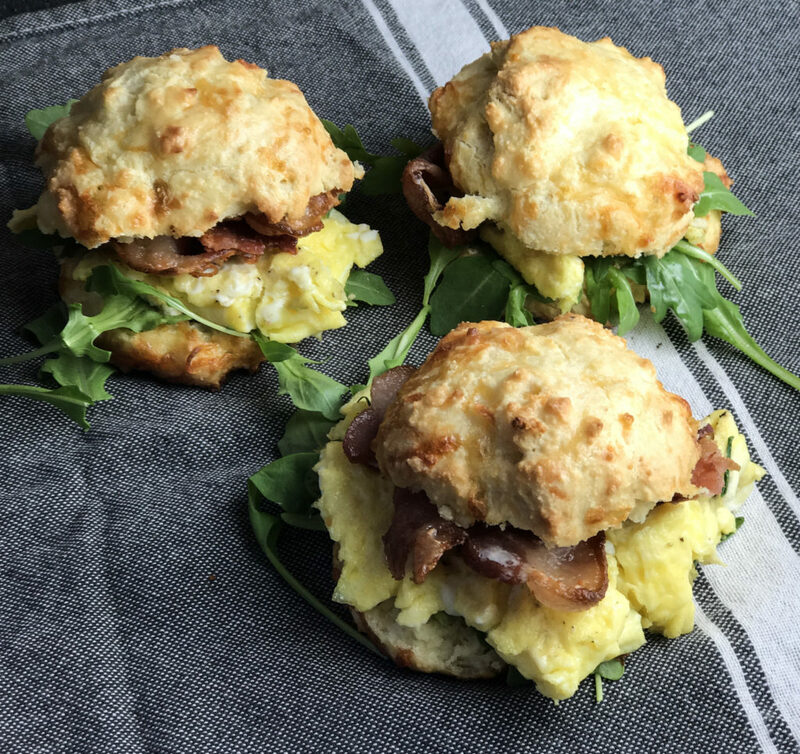 These Keto Breakfast Biscuits sandwiches are life savers. If you don’t season the dough well enough, it can be bland. If you’re eating these as only biscuits with no filling, you might find that your biscuits taste a little dry. 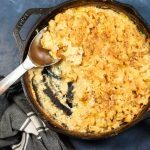 I would up the cheese to 2 cups or up the butter to 3-4 tablespoons. Use two cups of cheese. Melt some butter, add some garlic powder and minced parsley and mix to combine. Brush the tops of the biscuits with the butter mixture right after you take them out of the oven. seasoning of choice - garlic powder, onion powder, paprika, rosemary, etc. To make biscuits, mix all ingredients together in a bowl. Form into balls (as many/little as you want, I made 6). Bake at 375 for about 20 minutes or until firm. To assemble sandwich, take biscuit and cut in half. Layer on scrambled eggs, top with bacon and arugula. Other great additions to the breakfast sandwich would be avocado, slices of cheese, sausage patties, ham, bell peppers, etc. The baking powder is optional. If you use it, the biscuits will be fluffier and get a little bigger.